Rob Kardashian Shows off Weight loss and socks in Las Vegas. Rob was in Las Vegas to launch His line of Socks. Kardashian, 26, was in Las Vegas for the launch of his Arthur George by Rob Kardashian line of socks at Neiman Marcus on Saturday. 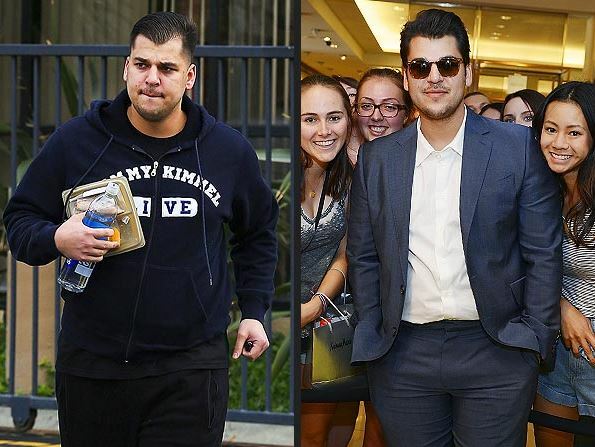 As You can see a more fat Rob Kardashian on the left than on the right.